Usually I wear the same thing on both hands so don't share both hands. These are the nails I wore for the Big Brother UK 2014 finale. For both hands I did a base of Sinful Colors Verbena and used Yes Love L011 over the top and used 'The Bag Dab' method to create a marbled look. 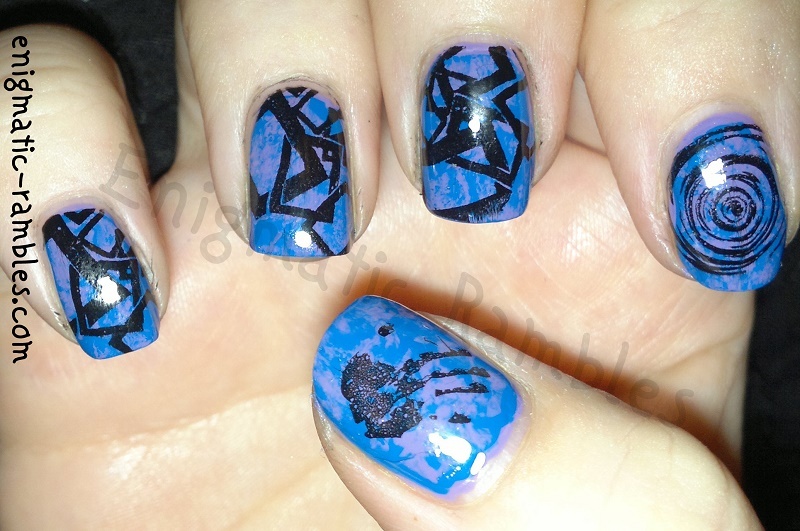 I stamped the BB using Bundle Monsters 426, letter E which I changed to a B. This years Big Brother there wasn't an eye to push to get in to the diary room there was a hand pressure pad so I stamped a hand on each thumb using MoYou Nails 72. The circular swirl is to represent the centre of the Big Brother eye logo which I used from BM418. 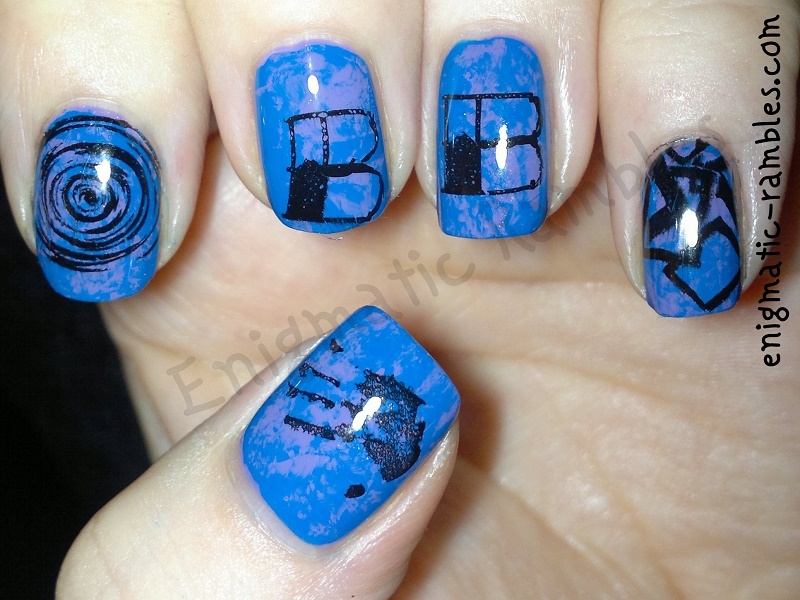 Finally the rectangle shapes, BM320, are to represent the fact BB is a television series.